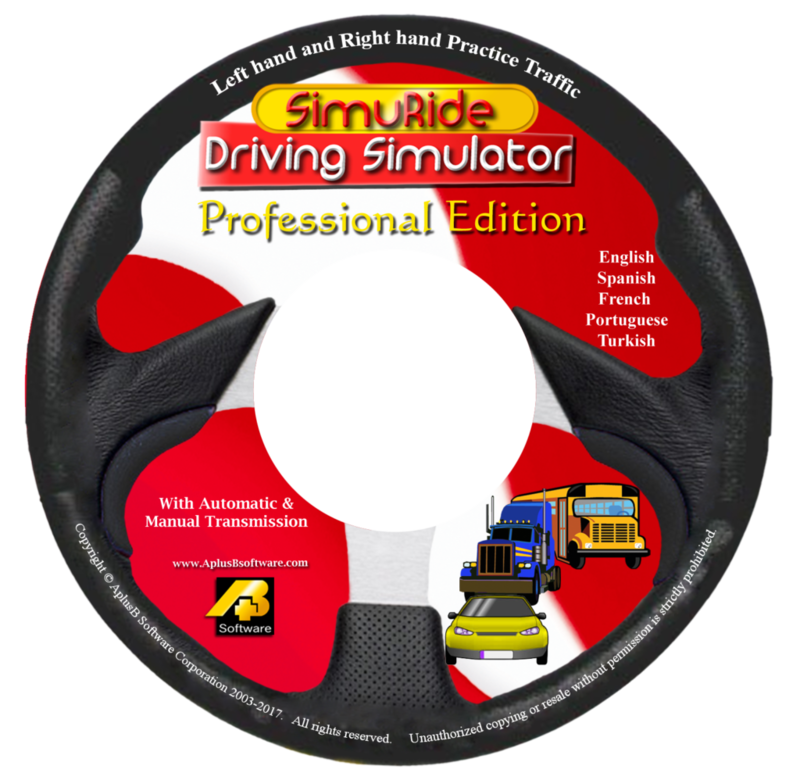 SimuRide Professional edition, as its name suggests, is a driving simulation software that is designed to teach new and commercial drivers how to maneuver a vehicle with automatic and manual transmissions. The first SimuRide Professional driving simulator edition was introduced in September 2007. Driving lessons become a lot safer because student drivers spend the first few hours using SimuRide driving simulator. After that beginner drivers become more knowledgeable and confident when they start driving a real car. Thus, it is less likely for them to get into accidents less stress to both parents, instructors, and monitors who have to share the road with student drivers. SimuRide driving simulator helps save fuel and reduces carbon emissions that contribute to the greenhouse effect into the atmosphere. It makes learning how to drive FUN for the student driver! Learning how to drive with SimuRide driving simulator rather than from behind a real steering wheel is just like playing a computer game, but more focused on physics and road rules than special effects. While the student driver is not exposed to the road during the first few hours, the SimuRide driving simulator recreates the experience of driving an actual vehicle. The driving simulation software makes the students work with different driving scenarios by reproducing various driving terrains and giving the option to add various atmospheric factors that affect driving. Student drivers can also experience the feeling of driving at night; the experience that most driving schools are unable to provide because they only operate during the daytime. A message about these mistakes is delivered and the information is recorded for the instructor. It can work with up to four computer screens using a single computer. Installing the software to work with two-pedal or three-pedal components, a gear shifter console, and a steering wheel allows the student driver to learn and experience driving without being inside an actual car. The steering wheel turns 900 degrees and provides resistance during driving maneuvers. All these components are available from our online store separately or provided in a full/small setup package. Please read below for details. New driving simulator users can reference our instructional videos shared here to help you configure SimuRide Professional based on the settings and configurations that best suit your operational needs. Our driving simulation can be configured to run on 1, 2, 3, or 4 monitors with each added display expanding the panoramic view of the simulated environment which provides your student driver with a full virtual driving experience. 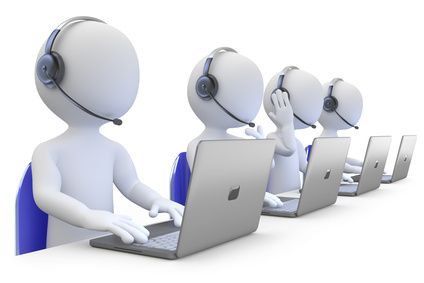 This is a customized application prepared for each individual customer. SimuRide driving simulator represents a good investment for Beginners and CDL Driving Schools. At only $2200, the SimuRide PE Software is much more economical than other driving simulation tools and instruments on the market today. It is the least expensive alternative on the market and at a comparable quality. The three-pedal component with gear shifter console allows the user to change gears manually (up to 18 gears) while recording any clutch related error in the report. The driving simulation software is specially designed so that, for example, the user will feel resistance on the steering wheel during turning maneuvers and tremors when the vehicle hits the curb or reaches the road shoulder. Rear-view and side-view mirror blind spots together with the aerial-view are simulated to help perform parallel parking or other activities requiring such views. Truck-driver students can easily practice driving a semi truck in city traffic, taking wide turns, or backing up a long, straight road to a dock. Simulator functionality specifically related and dedicated to Law Enforcement driving; very helpful supplement for Emergency Vehicle Operations Course (EVOC). Police Vehicle and Fire Trucks and a Police Academy scenario are included in the SimuRide edition released Feb 03, 2017. One of the many important tools in a police officer’s skills set is being a safe and effective driver under any potentially dangerous scenario. Patrol officers can spend a significant portion of their time in their vehicle, and their duties may require them to sometimes perform difficult and dangerous maneuvers under any variety of road conditions or circumstances. The best way for any officer to obtain these skills is with the use of a driving simulator; where emergency and inclement driving maneuvers can be performed repetitiously, in a safe, controlled environment. The SimuRide Professional Edition (PE) provides that environment combined with a comprehensive, virtual landscape where neither officer nor vehicle is at risk of injury or damage. The vehicles in SimuRide do not need fuel, maintenance, or repair, and the officers won’t need hazard pay to practice important maneuvers. Just as regular practice at the shooting range keeps an officer’s skills sharp; law enforcement can frequently hone their defensive and offensive driving abilities with SimuRide Professional Edition. The police and emergency vehicle settings are one of many real world-based options that drivers can choose from. When operating the virtual police squad car, drivers will find the inclusion of added effects to simulate emergency situations like background noise of the police siren and voices over the CB, and all of the normal traffic rules are disabled. Officers, who may need to drive large trucks with manual transmissions during emergency situations, can additionally make use of SimuRide PE’s extensive commercial vehicle options which includes semis and buses with a choice between manual and automatic transmissions. SimuRide PE may also be used beyond officer training purposes and can be incorporated into prevention/awareness campaigns where citizens can be invited to experience the effects of driving under the influence of alcohol or drugs through delayed control response and altered displays in the simulation which reflects the dangerous changes to the drivers perceptions and reflexes. They can also engage in other reckless driving practices to become more aware of some of the risks they face when making decisions while driving like attempting to drive while texting or talking on a cellphone, traveling at unsafe speeds, or the difficulty of maneuvering on slick roads and in inclement weather. All simulator sessions performed in SimuRide are closely tracked and recorded with performance review date that can be studied after the completion of each session to help the driver identify areas of proficiency and where further practice may be necessary. Aplusb Software is dedicated to offering effective and innovative education solutions for drivers of all ages and levels of experience. As part of that objective, we have been developing a motion simulator that has just been released. The motion simulator will increase the realism of our driving effects and would help officers keep control of their simulated vehicle in certain scenarios, such as driving over a high bump or hitting the curb. If there are no funds in your budget for the Emergency Vehicle Operation Training, this shouldn’t be an issue; there are many federal, states and private grants for law enforcement agencies that cover the cost of our SimuRide simulator. The visual scenes reproduce city, highway, country, maze, and maneuvering parking lot environments, with or without traffic and with different obstacles. The multi-display upgrade allows users to run and view the SimuRide driving simulator application across three monitors generating a 180-degree horizontal view. 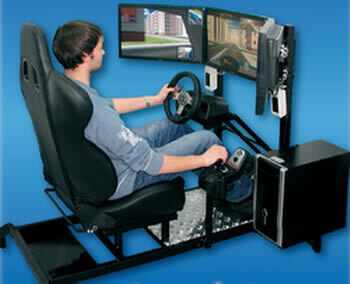 This feature forces the student to turn his or her head and realistically imitates the driving environment. What do you get with the professional driving simulator? DONGLE – USB security and license key that is a customized program for each individual customer and simulator station. This package has everything you will need to start your Driving Simulator experience right away!. SimuRide and all drivers are pre-installed and necessary setup completed. Ships usually in 2 weeks. The SimuRide PE driving simulator small package setup can be run on a personal computer (desktop or laptop). See the hardware requirements section on the bottom of this page for details. The SimuRide PE driving simulator software can be run on a personal computer (desktop or laptop). See the hardware requirements section on the bottom of this page for details. For individuals or customers who are not certain about our Simulator, we offer a TRIAL package. This version of SimuRide PE driving simulator offers you 50 practice sessions (unlike the unlimited practice sessions you get with the full version). This should allow you enough time to test and explore the many functions and benefits of the SimuRide Professional Edition without the full price tag. Having used the trial version, we are confident that you will want to upgrade to the full version!. The cost of the TRIAL edition is $100, and will be deducted from the purchase price of the full SimuRide package, if you upgrade within 90 days of purchasing the TRIAL edition. This $100 TRIAL edition is ideal for private user who wants to learn drive vehicles with manual transmissions or practice advance shifting (double clutching). It also gives enough time for the CDL student to master semi-truck backing up or driving a truck on narrow city streets. A beginner driver can practice for the road exam with 50 trials. The user can select any type of vehicle, terrain, and conditions to practice 50 times. Each trial can take up to 45 minutes. The package contains the simulator software (50 rides) and the hardware USB Dongle Key. No additional software is included with the Trial edition, and the dongle key has to be sent back for reprogramming to be entitled to the $100 deduction with the purchase of full version. The steering wheel set is needed to practice with the trial version. The trial version do not include any hardware. Updates for All SimuRide PE Editions from 2008 up to today. The user can adjust the position of all mirrors as well as an aerial view using a keyboard. Straight truck with 10 speed transmission and Double Trailer truck with 18 speed transmission were implemented to satisfy customers demand. The Motion Platform has successfully been tested. SimuRide PE is now fully incorporated into D-Box Motion System. New Scenario “Police Academy” is released. We have implemented 10, 13 and 18 Speed Transmission trucks to practice “H” shifting; while splitting gears between Low and High range, as well as toggling between the Low and High setting for each gear. Knob to replace a Logitech G25, G27, G29, G920 or Thrustmaster TH8A, TH8RS Gear Shifter knob. Knob to offer any number of gears from 5 up to 18. Tractor Double Trailer, practicing coupling and uncoupling using a Converter Dolly. Implemented drivers for the custom controls and a Logitech G29 steering wheel with a gear shifter. Additional vehicles attached: Straight truck with a trailer, Straight truck with 2 trailers, and Tractor with 2 trailers, called a Combination, Double/Triple or RoadTrain. Map Editor (Beta Version), to create new and edit existing scenarios. Remote Control, to command simulation from the remote located computer by the instructor. Added Cargo Tank Truck Rollover Feature; special vehicle and scenario is created. When a truck travels along a curved path, centrifugal force causes it to lean away from the direction of the curve. The result can be a “rollover” in which the truck overturns. Tractor-trailers are particularly vulnerable because of the trailer’s high center of gravity and frequently unstable loads. Over 78% of rollovers involve driver error; therefore, we came up with the unique approach to reduce Tanker RollOvers, giving a driver the opportunity to practice to prevent such events. Added Police and Fire Truck vehicles. Added Roundabout (circular intersection) scenario. Added Help function to main Menu. Updated some functionality to make the SimuRide PE more user friendly. For customers involved in scientific research and development technology using our simulator, the structure of Data send and received by UDP has been modified. Review/Print student report from the instructor computer connected in network with all simulator stations. To serve better, the SimuRide PE downloadable version is offered. Automatic Resolution Setup with multiple monitors/TVs/WallProjectors. More driveways implemented into scenarios to help practicing entering/merging the road and parking skills. SimuRide PE released in February 2015 is offered in form of packages: Small Package and Full Setup. New SimuRide Professional Edition is compatible with Windows 8 and its predecessors. The software is modified and contains new functionality and features. Can be used with one, two, three or four monitors/displays. If used with 2 or 4 monitors, the 2nd or 4th one is located behind the driver seat. A driver has to use real (not virtual) rear view mirrors to check on his back and for following traffic. Reversing, the driver has to turn his head back like in a real vehicle. Weight of vehicles can be changed from empty, half full and full loaded. Together with a vehicle weight increase, the physics of a vehicle changes as well. For example a braking distance is longer, centrifugal force while turning and other forces are significant larger and are adjusted by our software accordingly. Record printing and saving with a student name available. Option to use with different and custom made controllers. Rough data available for advance research. Telemetry output for motion platforms in six degrees of freedom (6 DOF) provided. Traffic and number of vehicles increased. Some improvements for the Left Hand Traffic. Number of files and size of the program decreased. Wipers, fog lights and horn implemented. Errors messages/report increased and can be optional. Vehicle position selection after collision; vehicle doesn’t have to go to Start. DUI with a 4th Dynamic Level from 0.0‰ to 2.0‰. This edition offers users an option to drive on the left side of the road (RHD) using passenger vehicle with an automatic and manual transmission. Manual shifting is popular in UK, Australia, South Africa, Jamaica, India, Indonesia and other countries. Offering this feature we help beginner drivers to practice not only automatic, but also manual transmission vehicles, driving on the left side of the road. All languages can be changed dynamically. Moreover, some physics of existing vehicles and their engines were improved. 2 types of usage the emergency brakes, and more. New Vehicle: School Bus with Crossover mirrors. general software upgrade and improvements. A new version of SimuRide Professional 2010 was released. It contains all previous upgrades and updates. We have released the update to the latest upgrade for your favorite driving simulator – the SimuRide Professional. a convex mirror is included for better visibility during semi truck driving maneuvers. If you are interested in ordering a copy of the upgrade, please use On-Line Shop link to access our online ordering system that is open 24 hours a day, seven days a week. If you already have purchased the SimuRide PE driving simulator upgrade, the latest update will be send to you Free of charge. SimuRide PE driving simulator upgrade has many new and improved features. It gives you the option of printing user reports. It offers a variety of new setting options such as turning on/off all warning messages during the simulation and using the SimuRide PE driving simulator on older computers. To enlarge vehicle selection, the Toyota Yaris (automatic & manual) has been added. The SimuRide PE driving simulator small package can be run on a personal computer (desktop or laptop). OS – Windows 10, 8, 7, Vista (32 or 64) or XP. Processor (suggested) – Intel Core 2 Duo – Clock 3,00 GHz or equivalent (AMD sometimes has a problem distinguishing and assigning a job to the second Core). 750 Watt Power Supply for older graphics card. Graphic card (suggested) – NVidia GeForce GTX 750 or any other card that has similar G3D Rating. For some older graphic cards we provide – 3D Software Accelerator – implemented in the SimuRide PE driving simulator package. The Logitech G29 Steering Wheel offers incredibly precise driving control with dual-motor force feedback, 900-degree steering and a six-speed gated shifter. Premium materials are used throughout: stainless steel paddle shifters and pedals, soft leather grip surfaces, and brushed metal wheel spoke accents. The 11-inch wheel, dual force-feedback motors and metal-framed pedal assembly provide solid road feel where you want it, and the 14 programmable buttons and sequential shifting option provide flexibility when you need it. Includes: Steering Wheel, Shifter Module, Gas, Brake, and Clutch Pedals; Power Supply, User Documentation and Software CD. Six-speed shifter with push-down reverse gear provides a more realistic driving experience with manual transmissions – allows the user to easily select the appropriate gear for any corner. Dual-motor force feedback system – two motors for increased force strength, single-reduction anti-backlash gearing system for decreased noise, smoother, more accurate steering and higher force feedback fidelity. 900 Degrees of Wheel Rotation – 2.5 turns lock-to-lock – just like most real cars. 11″, leather-wrapped wheel rim with stainless steel spokes – real leather and a wide diameter. Sequential shift mode for programs that do not support six-speed mode, the shifter can easily be changed into sequential mode. Stainless steel gas, brake, and clutch pedals – gas, brake, and clutch pedals with distinct resistances. The addition of a clutch pedal allows for advanced driving techniques such as heel-and- toe downshifting. Leather-wrapped shift knob & exclusive carpet grip system. For warranty and additional information about the steering wheel please click here. Any modern standard wall projector, monitor or TV can be used. To realistically imitate the driving environment we suggest using three-monitor SIMURIDE edition with panoramic flat screen monitors at least 22″/ max 32″, HD-TVs or wall-projectors. The computer we are selling on line has 3 monitors output; however, some computers have only one graphics card output. Hence, for three monitors with a simple computer graphics card the Matrox Triplehead2go is required and is available in our On-Line Store. You can purchase Professional Simulator Seat that holds 3 monitors, steering wheel, pedals, and gear shifter from our On-Line Store. Please note that we are unable to guarantee the same seat type and color, as pictured. In an effort to control customer pricing in our current economic climate, we have obtained refurbished seats of excellent quality and condition. The Simulator Seat is not necessary; you can use the regular office desk with a simple chair. 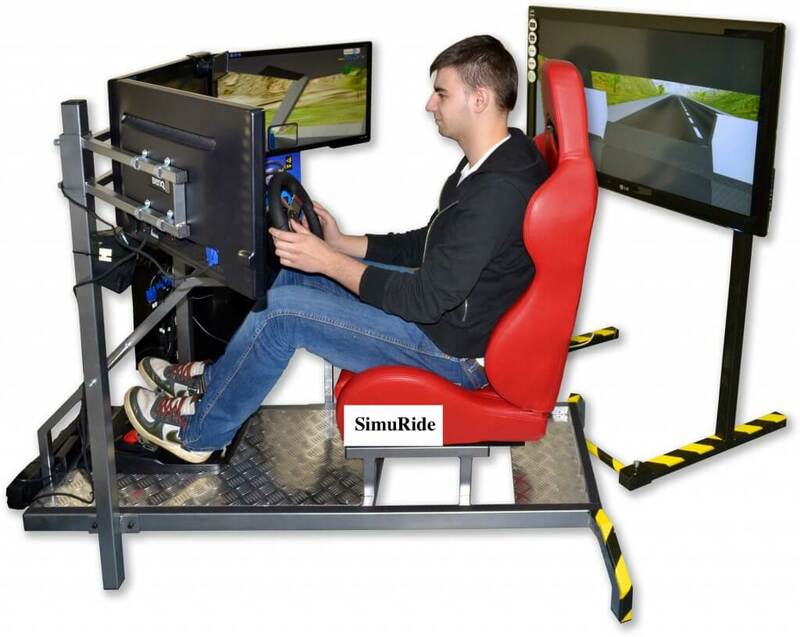 The SimuRide – Driving Simulator is built on simulation technology developed by EduCar.